Appetites: Who owns Asian food? Cultural authenticity in food continues to be a hot-button topic. A star-studded panel will discuss the issue at Minneapolis' The Lynhall next month called "Insiders or Outsiders: Who Owns Asian Food?" 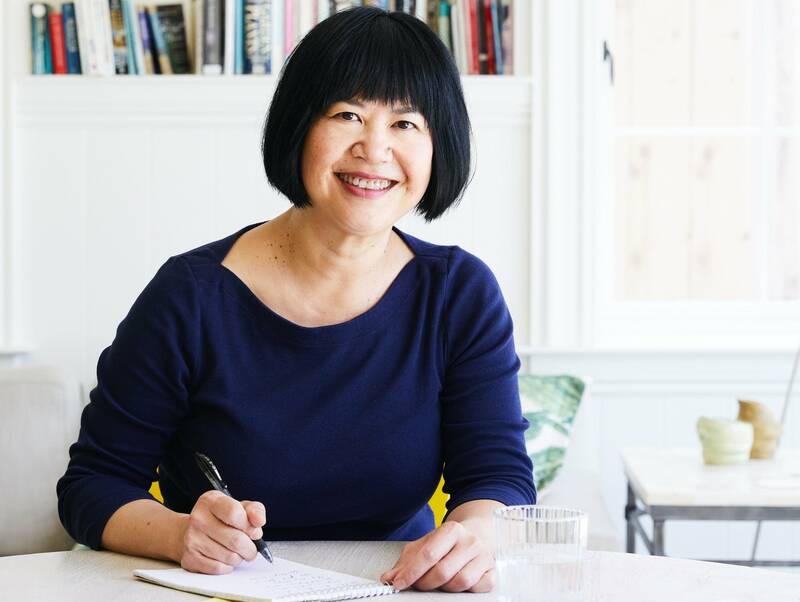 Food writer Andrea Nguyen, author of James Beard award-winning cookbook "The Pho Cookbook," will join the discussion at The Lynhall on April 8. Nguyen talked with MPR News host Tom Crann on All Things Considered about her new cookbook, "Vietnamese Food Any Day: Simple Recipes for True, Fresh Flavors," and what makes for "authentic" food or "authentic" experience. 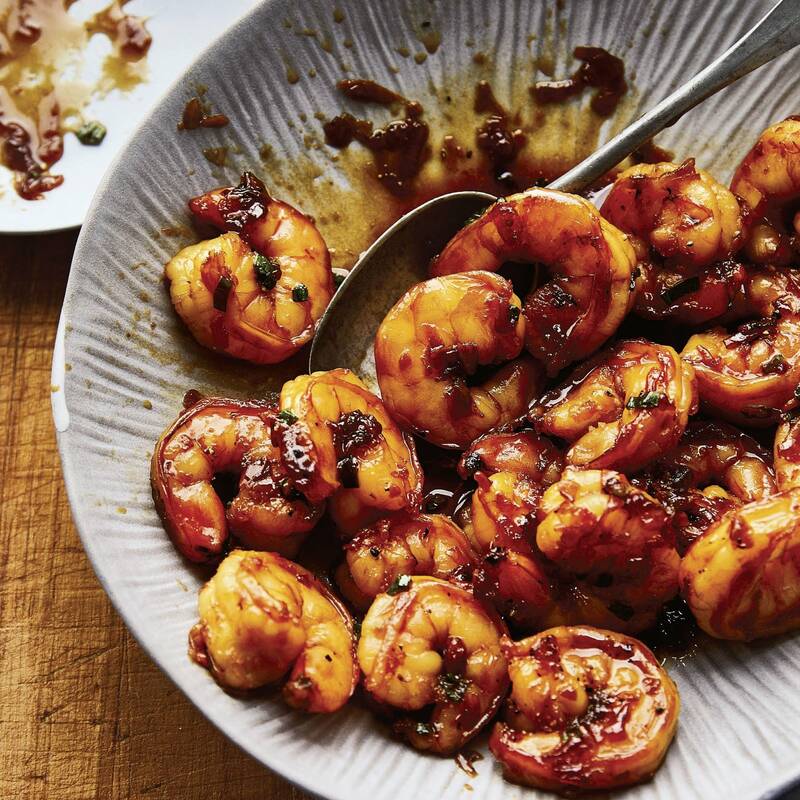 The following is her recipe from her new book for savory-sweet comfort food from southern Vietnam, shrimp in coconut caramel sauce. Reprinted by permission from "Vietnamese Food Any Day: Simple Recipes for True, Fresh Flavors," published by Ten Speed Press, an imprint of Penguin Random House. My niece Paulina requested this savory-sweet comfort food from southern Vietnam, a region where cooks use coconut milk and coconut water for a sunny array of dishes. I happily obliged because it's delicious and involves a nifty technique — coconut water is reduced with other ingredients until it caramelizes a bit to create a lovely syrupy sauce. Enjoy tôm rim nước dừa with rice and a simple vegetable, like the charred brussels sprouts on page 170. Choose a large skillet or sauteuse pan with a light interior to easily monitor the color changes during cooking. Serves four; takes 35 minutes. Pat the shrimp with paper towels to remove excess moisture, and set aside. In a medium bowl, combine the coconut water, sugar, caramel sauce and fish sauce and stir to mix; taste and make sure it's pleasantly salty-sweet. It will cook down later and intensify but use this opportunity to check the flavor. If needed, add up to 1 1/2 teaspoons sugar or fish sauce, or both. Set aside. In a skillet or sauteuse pan over medium heat, melt the coconut oil. When the oil is barely shimmering, add the shallot and garlic and cook, stirring frequently, for 3 to 4 minutes, until the garlic is pale blond. Remove from the heat and, once the cooking action subsides, add the coconut water mixture. Return the skillet to high heat and bring to a boil. Cook, without stirring, for 10 to 14 minutes, until reduced to between 1/3 and 1/2 cup, a bit thickened, and slightly darkened. Add the shrimp and continue cooking at a swift simmer, stirring frequently, for 3 to 5 minutes, until the shrimp curls up and cooks through and the sauce is slightly syrupy. (Expect the shrimp's natural juices to release, thin out and flavor the sauce.) If the shrimp cooks too fast, remove it from the pan, let the sauce cook down, and then return the shrimp. Remove from the heat, season with lots of pepper, and stir in the green onion. Let sit for 5 minutes for the flavors to settle and deepen. Transfer the shrimp to a shallow bowl or plate and serve. This key Viet ingredient is simply nearly burnt sugar; it's not at all the caramel sauce for topping ice cream. Vietnamese caramel sauce is stealthily employed in savory dishes to impart a lovely mahogany color and build savory-sweet depth. You've likely had caramel sauce in clay-pot (kho) dishes but didn't know it. Like molasses, it can be added to grilled-meat marinades to enhance the appearance of the final dish. Don't fear the caramelization process. It's not overly dramatic, and the vinegar prevents crystallization, which can result in crusty failed batches. Employ cane sugar, such as C&H brand, because it caramelizes consistently better than beet sugar. The result is an inky, bittersweet Vietnamese staple. I keep a jar of caramel sauce to cut down on prep work. If you don't have time to make a batch, use the workarounds in the recipes to make some on the spot. Select a small, heavy-bottomed saucepan with a long handle and a light interior (such as stainless steel) to observe the caramelization. If you wish, use strained fresh lemon or lime juice in place of vinegar. Makes about 1/2 cup; takes 15 minutes. Fill the sink (or a large bowl or pot) with enough water to come halfway up the sides of the saucepan. In the saucepan, combine the 2 tablespoons water, vinegar (if using), and sugar. Set over medium heat and cook, stirring with a heatproof spatula or metal spoon; when the sugar has nearly or fully dissolved, stop stirring. Let the sugar syrup bubble vigorously for 5 to 6 minutes, until it takes on the shade of light tea. Turn the heat to medium-low to stabilize the cooking. Turn on the exhaust to vent the inevitable smoke. (Don't worry if sugar crystallizes on the pan wall. But if things get crusty in the bubbling sugar syrup, add another drop of vinegar to correct it.) For even cooking, you may occasionally lift and swirl the saucepan. Cook the syrup for about 2 minutes longer, until it is the color of dark tea. The next 1 to 2 minutes are critical because the sugar will darken by the second. Monitor the cooking and, to control the caramelization, frequently pick up the saucepan and slowly swirl the syrup. When a dark reddish cast sets in — think the color of Pinot Noir — let the sugar cook a few seconds longer to a color between Cabernet and black coffee. Remove from the heat and place the pan in the water to stop the cooking. Expect the pan bottom to sizzle upon contact. Leaving the pan in the sink, add the remaining 1/4 cup of water. The sugar will seize up, which is OK. When the dramatic bubbling reaction stops, return the pan to medium-high heat, and cook briefly, stirring to loosen and dissolve the sugar. Remove the pan from the heat and return to the water in the sink for about 1 minute, stirring, to stop the cooking process and cool the caramel sauce to room temperature. Use the sauce immediately, or transfer to a small heatproof glass jar, let cool completely, and then cap and store in a cool, dark place indefinitely. Associate Producer for All Things Considered.